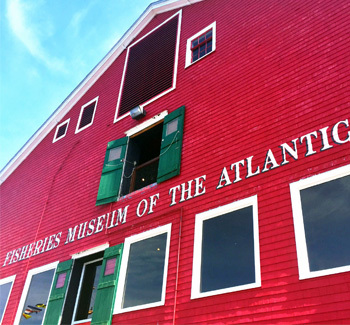 Welcome to the Fisheries Museum of the Atlantic where you can explore the rich fishing heritage of Nova Scotia. 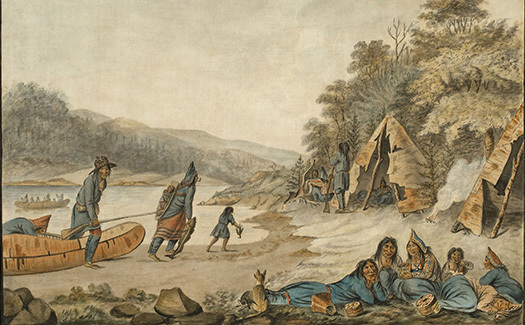 Our newest exhibit “First Fishers” invites you to explore the history of the Atlantic Canadian fishery from the earliest days of the Mi’kmaq to today. Help support our Museum, receive regular up-to-date information about what is happening at the Museum and enjoy all of the benefits of being a Dory Mate. The Fisheries Museum of the Atlantic provides the ultimate waterfront experience, in Lunenburg, Nova Scotia, a UNESCO World Heritage Site. 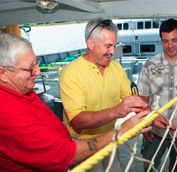 While at the Museum, you experience life in a fishing community and discover, up close, life at sea. Explore our living fish exhibit and wharf-side vessels. Make your way to the Ice House Theatre, where films are shown throughout the day. Browse at your leisure or take a guided tour. Come rain or shine, relax and enjoy! The entire family will enjoy their entertaining visit with us! 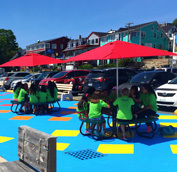 Daily programs available May through October, including lobster lore, a model boat launch and more. While at the Museum or just shopping around town, be sure to check out the Gift Shop where you will find an array of current fashion and giftware for the entire family. Salt Store Gift Shop. We are open for the season Sat. May 18 and our hours will be 9:30 am - 5 pm daily, up to and including June 22nd. June 23rd we will extend our hours to 5:30 pm, daily.